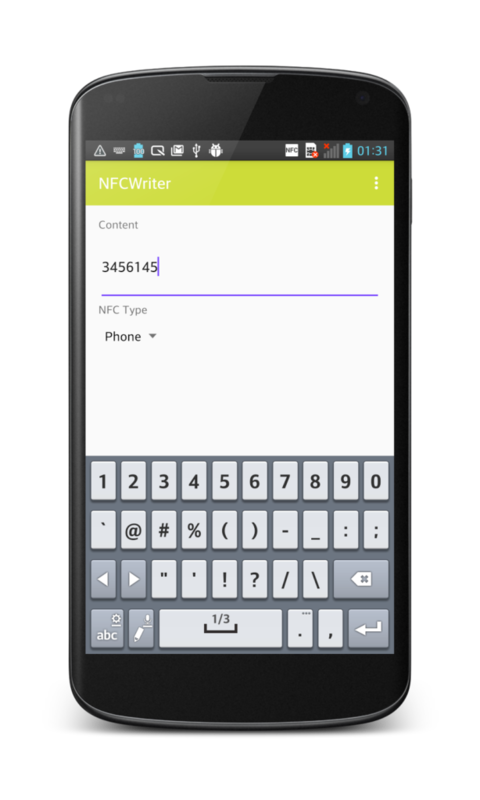 Learn how to develop an Android NFC tag writer to write NFC tags. Using an Android NFC tag you can write tag with different content as Text, URL, phone number and so on. This post describes how to develop an Android NFC tag writer that is capable to write different payload in the NFC Tag as Text, URL, Phone Number and so on using NDEF format. Android smartphones are capable not only to read NFC tags that contains data like URL, phone numbers and so on but using Android NFC API is possible to implement an NFC tag writer. In this post, we will explore how to develop an Android app to write NFC Tags using Android NFC API. 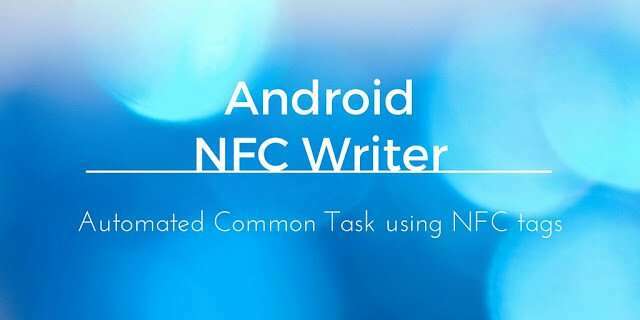 Before digging into the details about how to implement a NFC tag writer in Android, it is useful to describe a bit what is NFC technology. Active NFC devices can send and receive data and can exchange data with a passive device. Passive devices can send data to other NFC-enabled devices without power source. A typical passive device is NFC tag that can be used as advertising system for example. NFC technology is available on the newest Android smartphones and NFC tags are used to active advertising, smart payment etc. It is important to know how to write NFC tags in Android. This method accepts an abstract representation of the NFC tag we want to write and the NdefMessage containing the message to write. As the first step, the NFCManager class tries to get the Ndef tag (line 4). If the tag is null, the app tries to “format” the tag and the write the message. If the tag is already formatted, the Android app tries to connect to the tag abstract representation and write the NdefMessage. 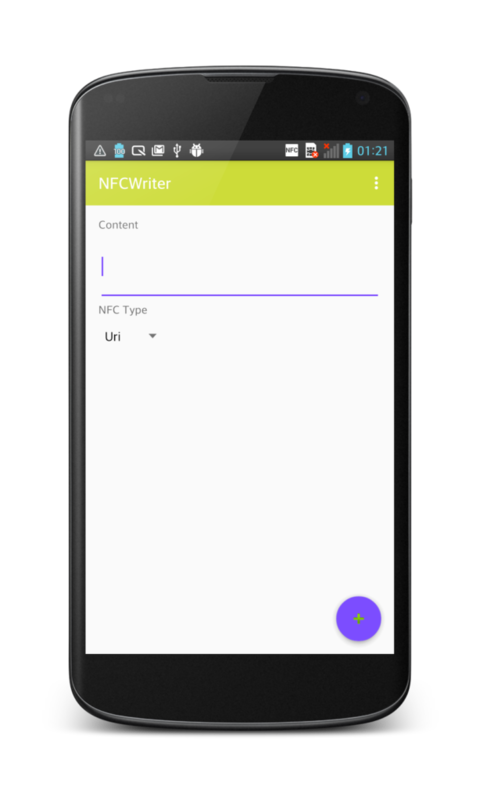 Now you know how to build an Android NFC tag writer that write data into NFC tag, it is time to start writing some simple information. The code is very simple, using NdefRecord provided by Android NFC API, the Android app creates a Uri record. As we already know, a NdefMessage is an array of record, so we create a NFC Ndef Message holding only one record: the Uri record.In this case, type holds http value because it is a link. If we want to write NFC tag that holds a phone number so that when the user taps with the smartphone the tag a phone call is triggered, we have to pass as type tel:. The last step is implementing the UI so that the Android app handles different NFC record type and a user can insert the data to write. The app uses a spinner that holds the different record types and an EditText that hold the data to write and finally a button (a Floating Action Button) to start the operation. As soon as the user clicks on the button the app starts waiting for the NFC tag. When the user taps on the tag, the app starts writing the data. At the end of this post, you know how to write NFC tag and the different way to fill the payload. At the end, you have developed an Android NFC writer that enables a user to write an NFC tag. You can use this Android NFC app to write NFC tag with different type of content. When a smartphone gets near the NFC tag, this smartphone will show the content of the NFC tag as an URL or phone number. I want to send message to the tag. ID tag read with the command >>getID. In this message I should write one byte in an address and read its from the same address …. I used to write and read the bytes of the Transcieve , but tag did not known … are there command for writing and reading …. (my tag is MLX90129) it supports Iso15693 (NFCV).I used from commands in NFCV. but it don’t operate. what is command suitable to read and write? It seems to me you are using RFID instead of NFC am i wrong? Near Field Technology (NFC) => Near Field Communication. Isn’t it necessary to add sector or block information to write? how can i insert the data of the tag into the localhost database?